Vajrayana Meditation Good Medicine for Cognitive Disorders? Science, and in particular the medical profession, has long accepted the positive benefits of many forms or meditation. Many studies across decades of research have proven meditation is simply good for the body—and your health. A new study from the National University of Singapore, attempts to differentiate the relative benefits of different types of meditation. In particular, the research team found that Vajrayana meditation, with Tantric and Deity visualizations, significantly improves cognitive performance. 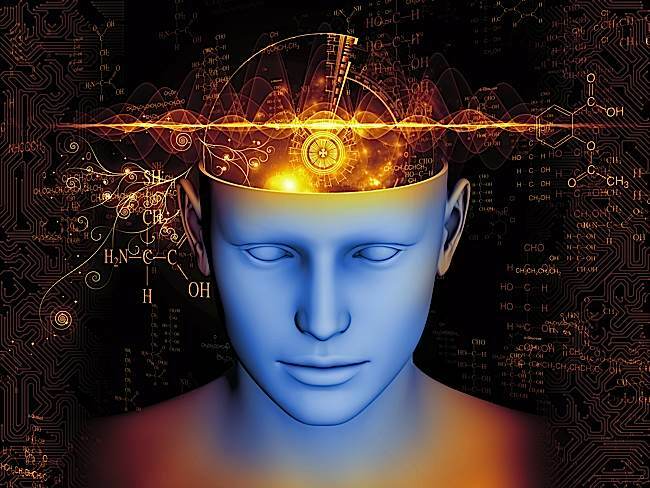 Research proves that Vajrayana meditation techniques improve cognitive performance. 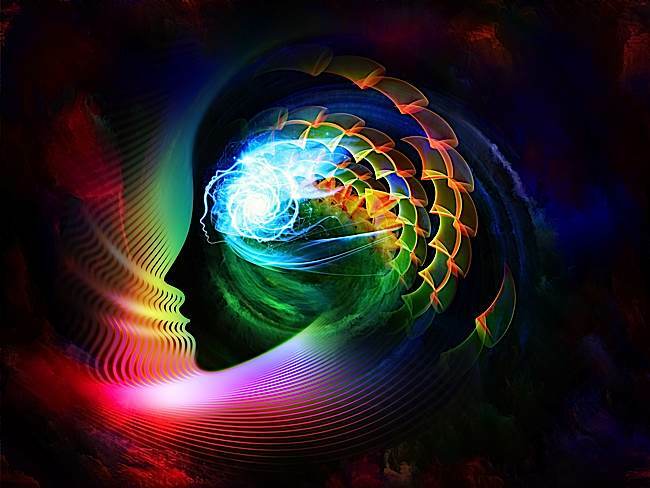 This may not surprise Vajrayana practitioners, who know just how much of the brain must be activated to stabilize a complex visualization, but it may also be good news for people at risk for Alzheimer’s and other cognitive degenerative disorders. Putting aside the obvious spiritual attainments associated with each path, there are significant differences in health benefits. Although most of the study focused on Theravada meditative practices—which are frequently practiced also by Mahayana and Vajrayana practitioners as foundation practices—the study found that Vajrayana meditation added extra layers of cognitive benefits. The complex visualizations required in Vajrayana meditative methods, which can include holding detailed images for long periods of time, dramatically and immediately improve cognitive ability according to research from NUS. Specifically, Samatha and Vipassana meditation (which are also part of Vajrayana foundation practice) were compared to Vajrayana meditations which included visualization and self-generation-as-Deity and Rigpa. All participants in the study were monitored for both electrocardiographic and electroencephalographic responses. The breakthrough study found that Vajrayana meditation showed activation of the sympathetic system. The results were not marginal. The tasking tests given to participants revealed sharply enhanced cognitive performance immediately after Vajrayana meditation. The margin of increase was steep and consistent. After meditation, any tasks involving the brain by Vajrayana meditators, showed marked enhancement. 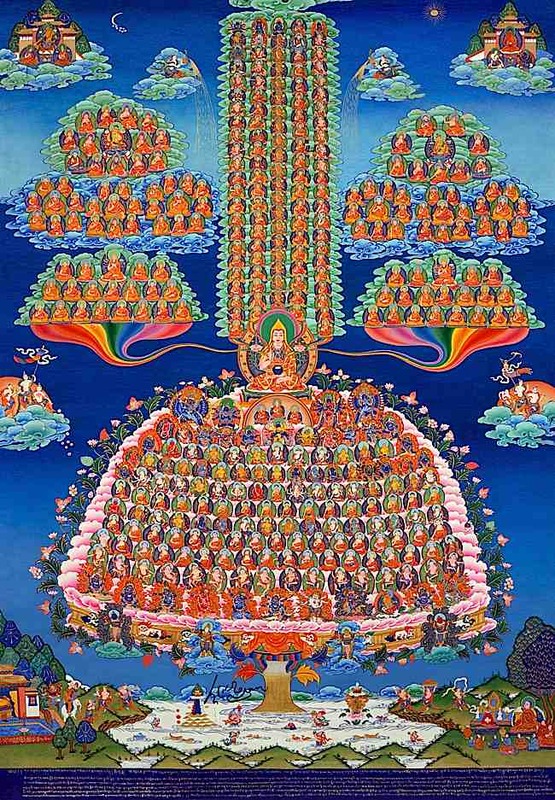 Complex visualizations such as the “Guru Tree” and fields of merit involve seeing hundreds of Buddhas and Bodhisattvas and Gurus in detail. The meditator must stabilize the rich image. The challenging practice is proven to improve cognitive abilities almost immediately, but the methods are challenging to learn—and require both a teacher and practice. By contrast, Theravada style meditation produced improved parasympathetic activity, and a decrease in activation of the sympathetic system. Vajrayana meditation tracked almost the complete opposite. This makes Samatha and Vipassana meditation ideal for spiritual contemplation, and stress relief. Vajrayana students have long been taught to anchor their practices in Samatha and Vipassana meditation, then, as they advance in their practice to undertake Deity visualizations. Due to the complexity of the practice, a teacher is necessary. However, a student of Vajrayana, practicing both styles of meditation, should see benefits spiritually, mentally and physically. Foundation meditation will anchor practice—and relieve stress—bringing important health benefits. Deity practices will advance spiritual attainments—and protect the mind. 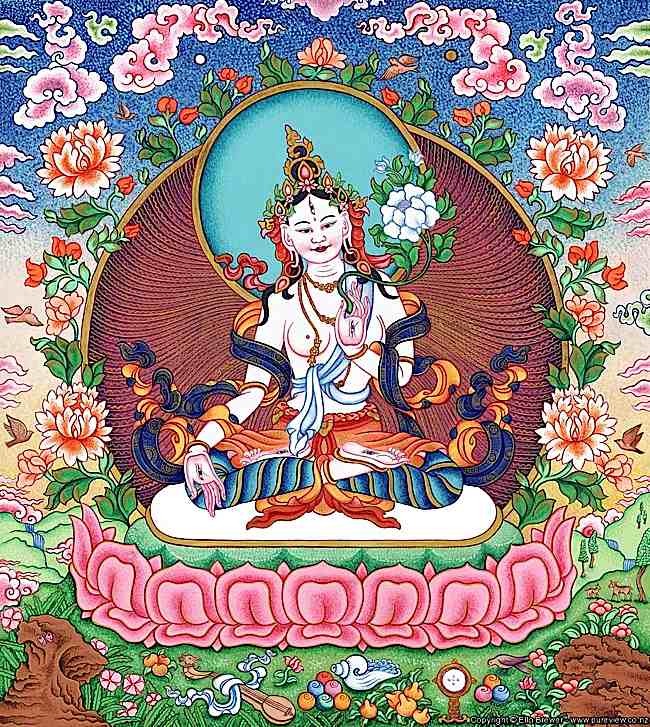 Vajrayana visualization involves holding rich and detailed images of Deities such as White Tara. Interestingly, another term for one branch of Vajrayana is Mantrayana, due to its emphasis on Mantra with visualization. 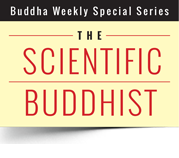 Mantra, literally translated, means “protection of the mind.” Although Buddhists have understood this for 2500 years, science now verifies the mind benefits of Deity practice. The study conclusively concludes that even one session of Vajrayana deity visualization meditation brings immediate cognitive improvements. Professors Kozheznikov and Doctor Amihai are now examining the longer term effects. The test subjects were all practitioners from Nepal, with years of experience in Tibetan Vajrayana meditation. Since Deity visualization practice literally takes years of dedicated practice, it’s easy to assume the long term benefits, considering how well the subjects did in the tests. The researchers will, however, be looking at the effects of short-term exposure to the techniques, probably using naive test subjects who do not have the benefit of years of study. The guidance of a qualified teacher is a must in Vajrayana meditation. Quoted in the article, is the Thirteenth Zasep Tulku, Archarya Zasep Tulku Rinpoche, an Internationally Respected Teacher. Even though Vajrayana is called the Lightning Path, the quick path to Enlightenment where you can potentially achieve Buddhahood in on lifetime, it’s doubtful the research will find a “quick fix” Vajrayana meditation for novices that immediately benefits people cognitively. In Vajrayana, the integrity of lineage (the passing of the practice, method and teachings through unbroken lineage back to the source) ensures that any authorized teacher has the attainments needed to guide the meditator. The meditations require dedication and years of practice from the student under a teacher’s guidance. Although effects can be immediate, from as soon as the first meditation session, it requires long term commitment. Lifetime commitment, in fact. Or multiple lifetimes. The purpose of Vajrayana meditation is not to enhance cognitive abilities—but it’s a very nice side effect. We practice these proven methods to make progress on our spiritual path and to gain Dharma realizations. As my teacher, Zasep Tulku Rinpoche wrote, “We all have Buddha nature naturally, and we are all destined to become a Buddha sometime in the future, but there is no Enlightenment without Dharma practice.” We practice for realizations, not to sharpen our minds. It’s just nice that we’ll have nice, sharp minds. Although there’s no data on adapting methods from Vajrayana to psychology, and considering how long it takes to become a serious Vajrayana meditation practitioner, it’s doubtful this will ever provide a “quick” fix to, for example, degenerative brain disorders. On the other hand, cognitive benefits should be nearly immediate, even for beginners, who diligently engage the mind with Vajrayana deity visualizations. Adding this clinical experience, to this new research on cognitive benefits show added benefits specifically from visualization practice of compassionate Buddha’s. To really benefit from Vajrayana, a qualified teacher is a must. To practice most—but not all—Deity visualization meditations Tantric empowerments are required. To practice Samatha and Vipassana meditation, no such initiations are required. Samatha and Vipassana meditation can be stress-reducing, research indicates. 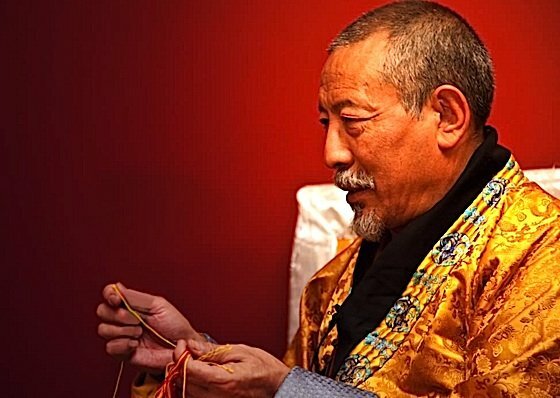 “Traditionally in Tibet, students completed the five foundation practices before taking higher Tantric initiation,” wrote Zasep Tulku Rinpoche, the spiritual head of Gaden for the West and Gaden Choling. One of the five foundation practices is Guru Yoga, which may have the same benefits as other Deity visualizations, since this involves visualizations. Vajrasattva and Avalokiteshvara visualizations normally do not require empowerments. But for most advanced practices, initiations are required, for the education and protection of the meditator. As many Deity meditations are complex —and should be understood correctly—a teaching, empowerment and guidance are important. “When you decide to take an initiation, you should find out what are the daily commitments and vows,” Zasep Tulku Rinpoche advises. These are long-term practices, and the commitments are important. The benefits of practicing properly under a qualified Vajrayana teacher are well established—and the long lasting benefits are clear and sure. And, if an additional benefit is a sharp mind, and defence against cognitive disorders, this is fortunate. You could say, good karma. Amusing information! Is there any teachers in Hong Kong can practice the Vajrayana Meditation? I doubt that science can draw conclusions on “all” forms of meditation. The list of practices must be finite, and it must be proven that there exist no other form of meditation than the ones that are considered in the different studies, which is impossible as the non existence of something cannot be proven. In summary, the assertion that science has demonstrated that “all” forms of meditation techniques give benefits is not scientific and hence is inconsistent with itself. You are right, “all” is the wrong word choice (Although it doesn’t say “has proven the positive benefits of all forms of meditation”) (I used the softer “long accepted”) But, I agree “all” is too strong a word, thanks for the feedback. Metta, Lee. Great learnings ! Thanks. 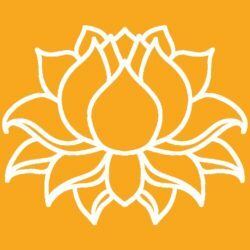 Anyone in India to teach from foundation meditation ? Please help. Thanks.